In addition to the need for all of us to take an interest in restoring our favorite places, it will be increasingly important for good science to be done to understand these natural system so we know what to do. Here is a good example of scientists and students studying an area in order to recommend to citizens and governments alike on what we can do to help restore the area’s groundwater. The Gottesacker (God’s Acre) Plateau on the border of Austria and Germany is a very high alpine karst (limestone) terrane. It receives abundant rainfall, but is a rocky desert because the water soaks right in and flows underground in a system of caves and conduits, to emerge in large springs in the Kleinwalsertal valley below. Because the water soaks in and flows to the springs very rapidly there is little opportunity for the water to be filtered, so it is vulnerable to contamination (typically from agriculture-related nutrients and pathogens). 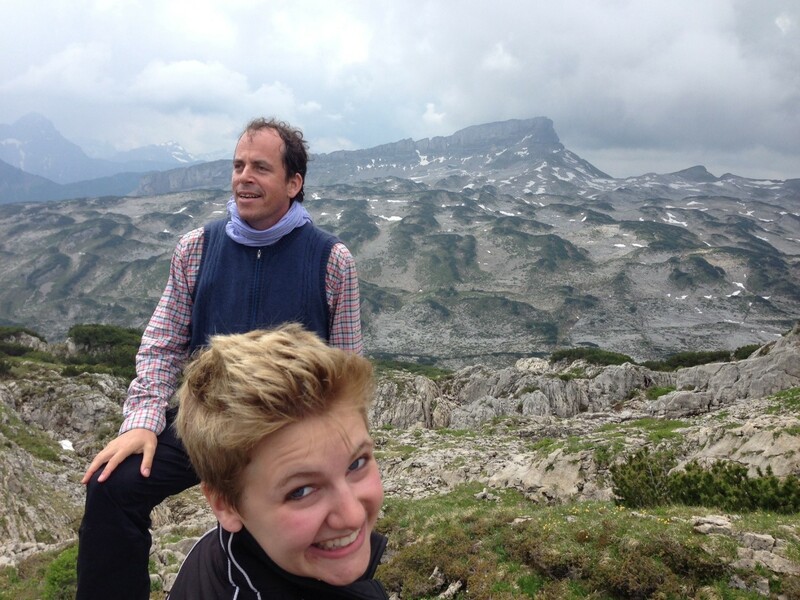 In the picture are my daughter Marian (a current geology student at Bryn Mawr College), and one of the people most responsible for studying and protecting this well-loved place; Nico Goldscheider, a hydrogeologist at Karlsruhe Institute of Technology. His work has been greatly supported and promoted by local resident Karl Kestler who treks from the valley up to the Gottesacker hundreds of times every year in all season and weather. Nico and I will be working there next summer, and are crowdfunding an effort to take students along. You can read all about it here: https://experiment.com/projects/how-does-alpine-groundwater-get-from-mountaintops-to-valley-springs . Students will learn and practice field hydrogeology, and fall in love with this place as well. Any and all help is most appreciated. 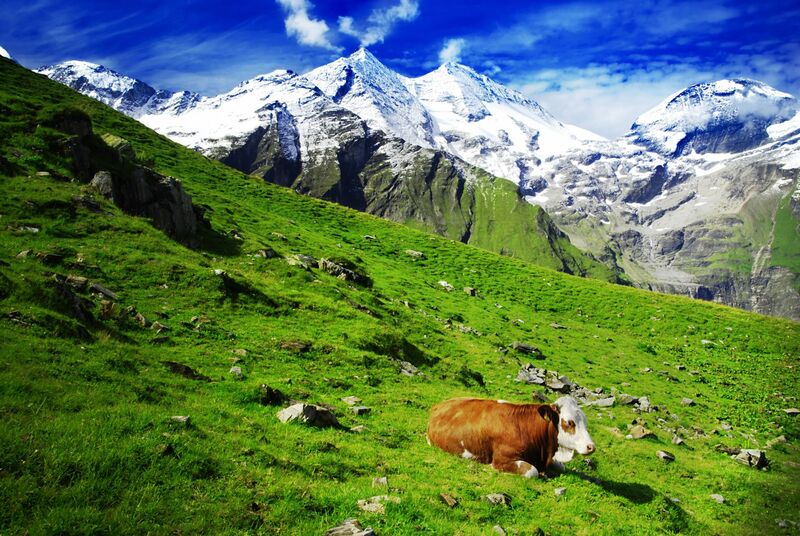 By nedtillman in Guest Post, Mountains on September 24, 2014 .